Just collect the video you want, you can make your own video screensavers,it is easy and doesn't need any skill. Click the "Video Screensaver" button (marked with "1") in the left of the windows in the picture above,set the Video tab actived by clicking the "Video" tab head ,marked with "2" in the picture. Click the "Add video " button (marked with "3" in the picture) to select and add video files that you want.You can use the button "up" and "down" to modify the video's order, if you want to remove video from the list, please set the flash that you want to remove in the list and the click the button "Remove". Also you can customize more options in video screensaver. Background Color: This items decide the background's color when screensaver is runing. Video Size:It is setup the video display mode. 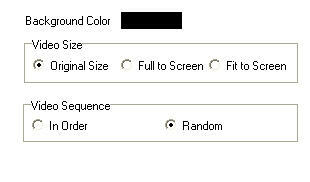 Video Sequence: Radio button let you choose whether display video in their normal order or in a random order. 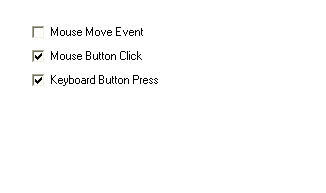 Mouse move even :The screensaver will exit when the mouse is moving. Mouse button click :The screensaver will exit when the mouse button is clicking. KeyBoard button press : The screensaver will exit when the press any key. 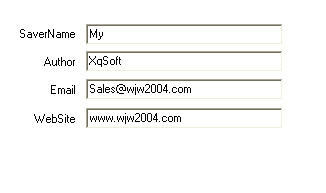 There there items in Author Information,Author name,Email and Website.These information will be shown in the installer that created by My Screensaver Maker let the end user know who had created the Screensaver.